Big jobs or small, did you know there is a knowledgeable specialist ready to help keep your facilities in top shape, using the latest in concrete repair and preparation techniques? Sika Corporation, a world leader in the development of admixtures, adhesives, coatings, sealants, and other special construction products is pleased to announce that Professional Restoration & Repair has been selected as a Sika-approved Contractor. PR&R was chosen based on their commitment to a broad range of applications and their extensive history as a problem solver. 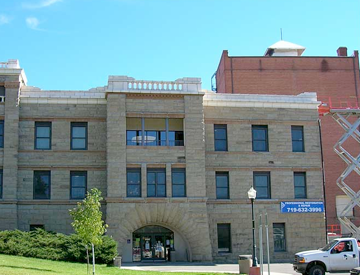 Professional Restoration & Repair has been operating in the Front Range areas of Colorado since 1986. Mr. Craig Nelson, the owner, graduated from the University of Illinois with a degree in Mechanical Engineering. He has over thirty-four years experience in specialized concrete repair and consulting on related building problems. BUILDING AND PARKING STRUCTURE RESTORATION. INDUSTRIAL FLOORING INSTALLATION AND REPAIR. EPOXY INJECTION, EPOXY ANCHORING & DOWELLING. CAULKING, EXPANSION JOINT & WATERPROOFING INSTALLATION. CORE DRILLING, EXOTHERMIC DOWN HOLE CUTTING. 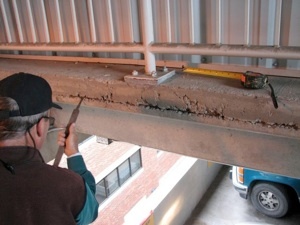 AESTHETIC OR STRUCTURAL CONCRETE & MASONRY REPAIR. SPECIAL INSTALLATIONS AND UNIQUE PROJECTS.